Adventures in Record Collecting: A Dust & Grooves Book + London Book Launch – The global community for audio culture. acWe’re proud to join forces with Wah Wah 45s, Classic Album Sundays and Ninja Tune / DJ Food to support the book launch party for Dust & Grooves: Adventures in Record Collecting, the debut book by photographer Eilon Paz about the world’s finest record collectors. If you’re in London join us at The Proud Archivist on Friday May 23rd for an event that celebrates vinyl culture and photography with a photo exhibition, book signing as well as all-vinyl sets from DJs who are featured in the book. The official Record Store Day book for 2014, Dust & Grooves is a 416-­page coffee-­table book that profiles over 130 vinyl collectors and their collections in the most intimate of environments—their record rooms. 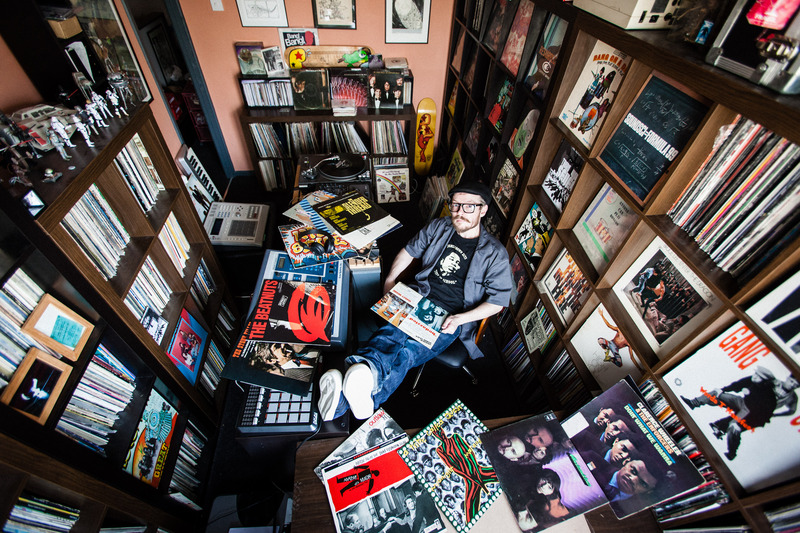 With a foreword by the RZA, compelling photographic essays are paired with in-­depth interviews to illustrate what motivates record collectors to keep digging for more records. 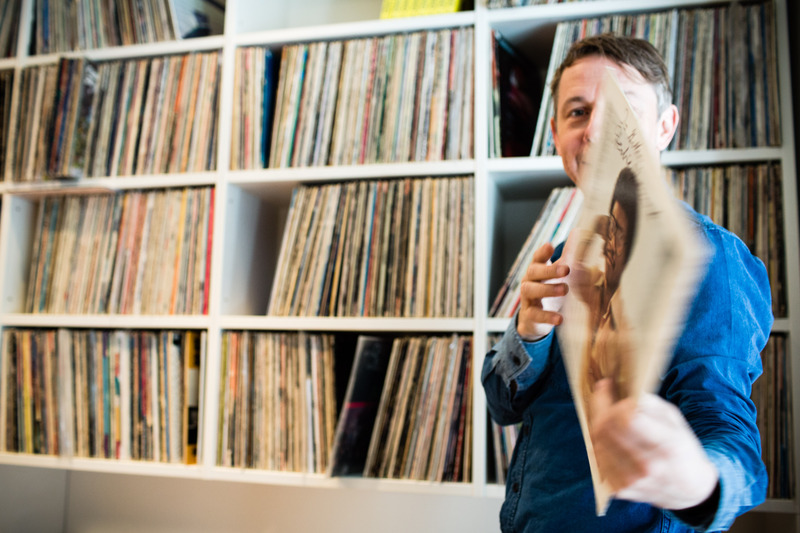 Readers get an up close and personal look at a variety of well-­known vinyl champions like Gilles Peterson, Four ­Tet, and Mr. Scruff as well as a glimpse into the collections of other known and unknown DJs, producers, record dealers, and everyday enthusiasts. “Working on Dust & Grooves has been like going back to school, but this time it was school for music, filled with passion & love. Here is a little glimpse of what I’ve learned from the collectors I’ve profiled during these years, a brief glimpse into their musical planet. Thanks for the trip! !